Carlos Checa conducts on May the Jove Orquestra Simfònica de Barcelona. The programe includes the symphony No. 38 “Prague” by Wolfgang Amadeus Mozart and “El Amor Brujo” by Manuel de Falla, which will complate with the young solo singer Laura Marchal. Venezuelan conductor Joshua Dos Santos returns to Barcelona to conduct the Jove Orquestra Simfònica de Barcelona on Sunday, March 24, and thus offer a concert to Maestro Abreu’s memory, just on the date that marks the first anniversary of the death of which was Prince of Asturias Award for the Arts in 2008 for being the founder of “El Sistema”, the musical movement that revolutionized the country for more than 40 years and that has influenced the whole world thanks to the spirit of building bridges and unite cultures through music. 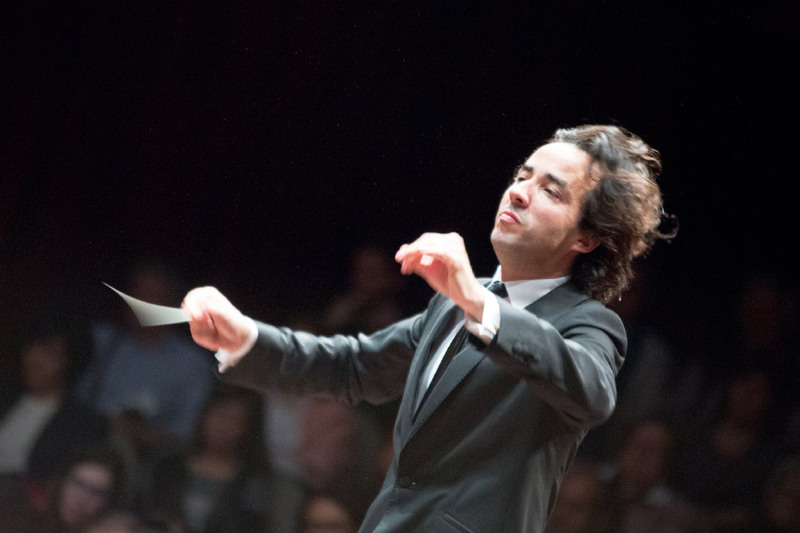 It is an honor for JOSB to once again receive the prestigious baton of the famous Venezuelan conductor, which will be the third time he will lead the orchestra as guest conductor. On this occasion, the Second Symphony in C minor by Tchaikovsky and the Danzón nº 2 by Arturo will be performed. 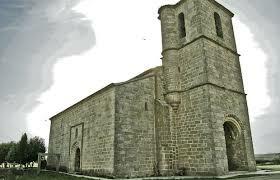 Márquez. 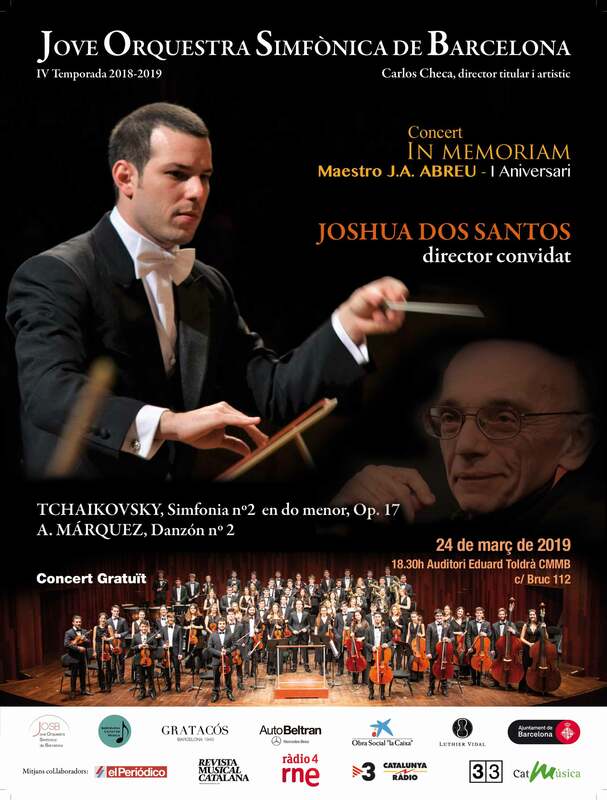 The concert is offered by JOSB free of charge thanks to all the sponsors and collaborators, and will be held at the Auditori Eduard Toldrà of the CMMB at 6:30 p.m.
Carlos Checa conducts the Jove Orquestra Simfònica de Barcelona at the Auditori on February 3, at 6:00 p.m, to offer a solidary concert for the “Caravana Musical por la Paz” with works by Wagner and Bruckner. 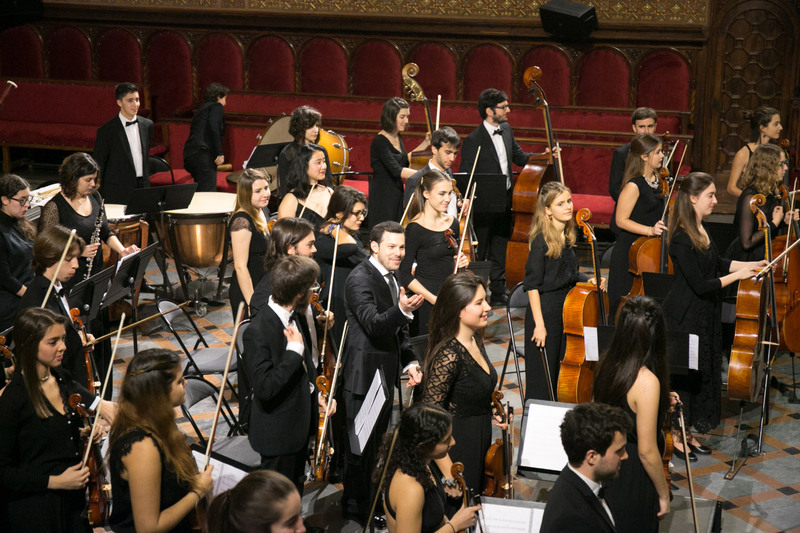 On November 26, the JOSB returns to the Paraninfo of the University of Barcelona conducted by Virginia Martinez and the young pianist Charlotte Couloud a program where the protagonist will be Beethoven. With Beethoven’s famous seventh symphony and Concerto No. 4 for piano and orchestra, Virginia Martínez, one of the most recognized orchestra conductors of her generation, debuts with JOSB with the young pianist who won the International Piano Awards BPA 2017, the French pianist Charlotte Couloud. 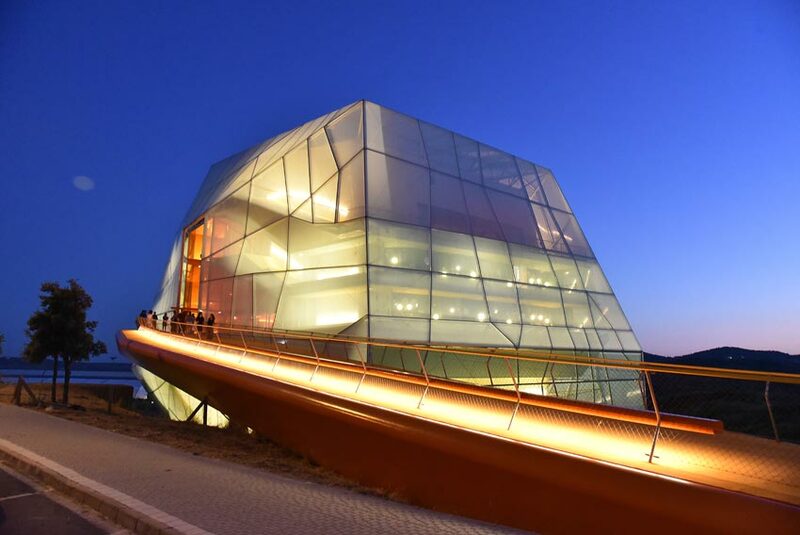 It has been since 2012 the music and artistic director of the Murcia Symphony Orchestra. He has conducted with great success the Pablo Sarasate Orquestas, the Valencia Orchestra, the Vallés Symphony Orchestra, the Orquesta Ibérica, the Orquesta Barcelona 216, the Orquesta Ciudad de Barcelona and the National de Catalunya, the Symphony of the Principality of Asturias, the Orchestra of Granada, the Orchestra of Córdoba, the Wiener Kammerorchester and the National Orchestra of Santo Domingo, where he collaborates with Philippe Entremont, has also been the Music director of the Youth Orchestra of the Region of Murcia. 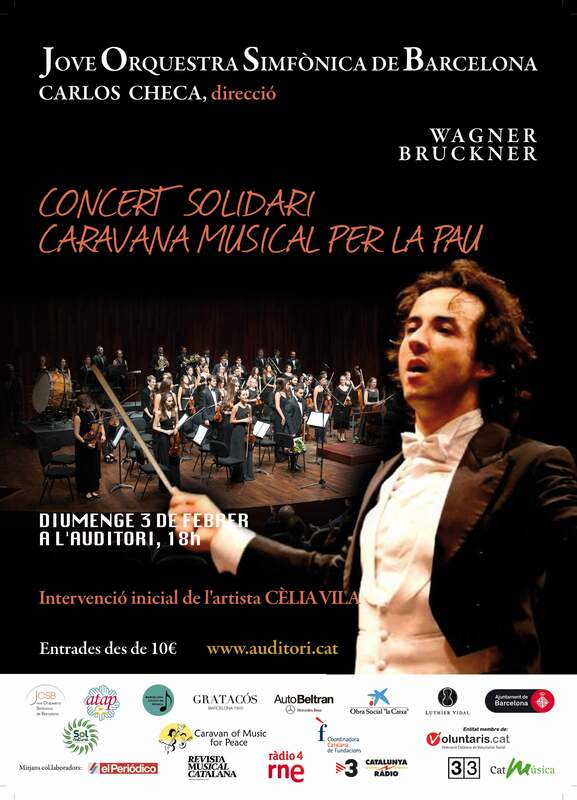 The Jove Orquestra Simfònica de Barcelona with Carlos Checa starts the IV Season with the first concert tour. The JOSB has been invited and will hold its first Tour on 12, 13, 14 and 21 October. 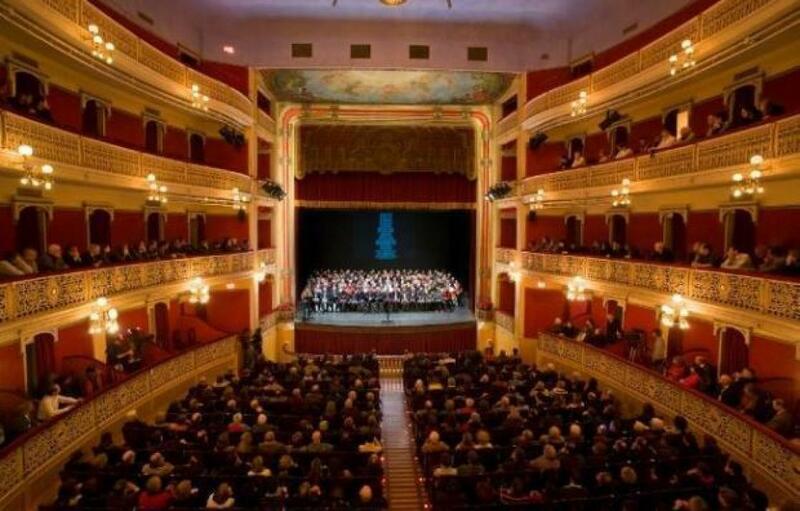 The first concert is on lands of Salamanca, it will be on the 12th at 7:00 p.m. at the Santa María La Blanca Church in Fuenterroble de Salvatierra, on the 13th, thanks to the invitation of the Regional Ministry of Tourism of Extremadura, will offer a concert in Plasencia, in the new Palacio de Congresos. 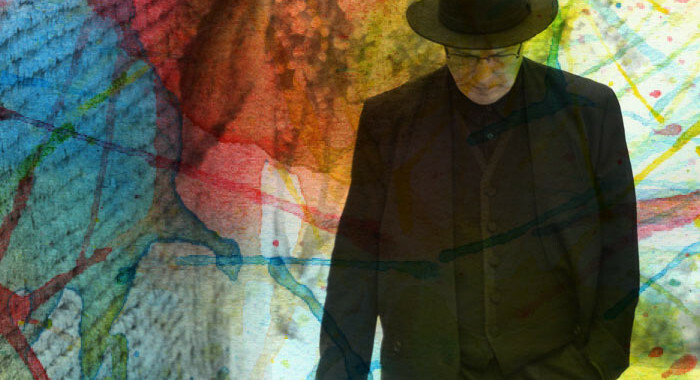 On the 14th the orchestra inaugurates the concert season of the Musical Association of Reus at the Teatre Fortuny, and the last concert, on Sunday, October 21, JOSB returns to the Palau de la Música Catalana, offering a solidary concert for the benefit of the AFAB (Alzheimer’s Association of Barcelona). 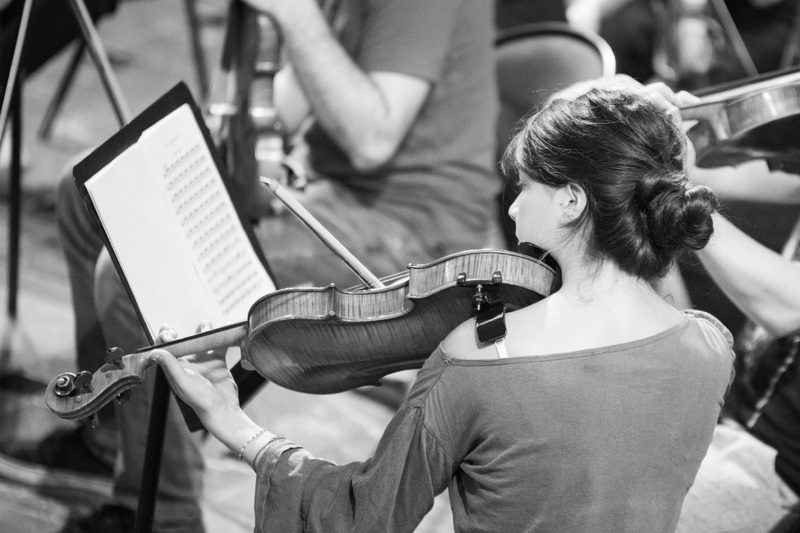 Auditions for the fourth season 18/19, with at least six different symphonic programs, as well as concerts in the Auditorium of Barcelona, ​​Palau de la Música Catalana among others, and also the first Tour of the JOSB next October. 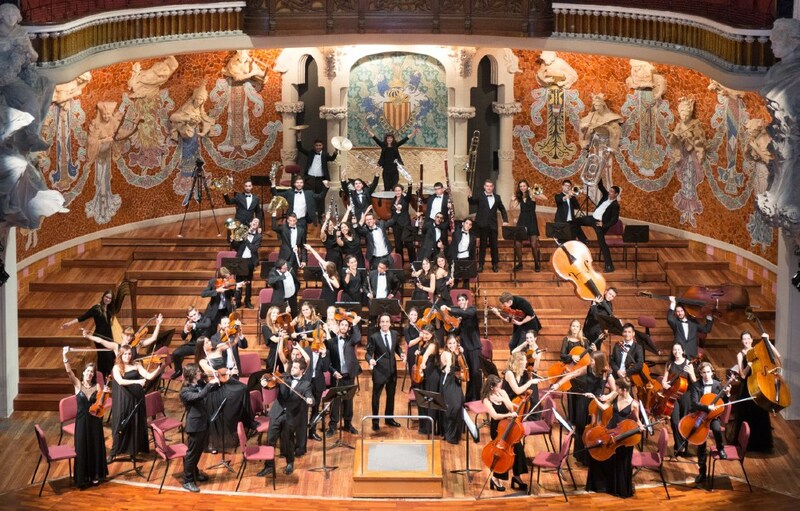 Continue the III Season of the Barcelona Youth Symphony Orchestra -JOSB with two concerts coducted by Carlos Checa and the Soloist Jesús Victorio ,trombone. “Nutcracker” Suite Op 71to of P.Tchaikovsky. Sunday 6th of May , at 18.30 p.m Centre Civic “La Sedeta”. Monday 7th, at 20 p.m to the Paranimf of the University of Barcelona. Íñigo Pírfano conduct’s a wonderfull Beethoven program that includes the Egmont Overture and the Symphony No. 6 in F major, op. 68, “Pastoral”. 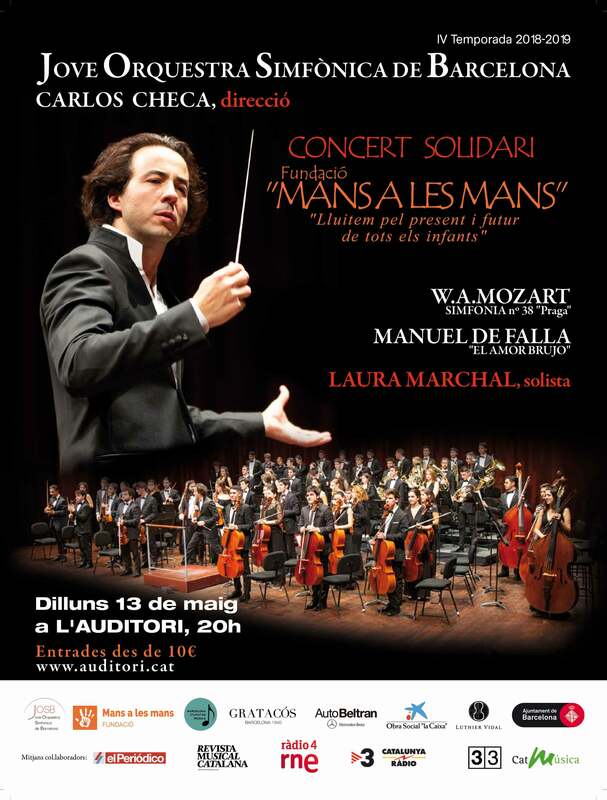 The concert is at the Paraninfo of the University of Barcelona, on Monday, March 19 at 8:00 p.m. (free entrance). The Funeral March in memory of Rikard Nordraak of E. Grieg and the Symphony No. 3 Op.35 by L.V. Beethoven known as the “Eroica” are the masterpieces of the upcoming challenge of the Jove Orquestra Simfònica de Barcelona, which will feature in this program with the musical direction of the conductor Carlos Checa and will offer two free concerts on February 4th and 5th thanks to the support of the Barcelona City Council, La Sedeta, Mercedes Autobeltrán, Clinica Sanza, Gratacós, and Barcelona Ciudad de Música. February 4th concert at the La Sedeta, at 12.30 pm, and Monday 5th, at 8 pm, at the Paranimfo of the University of Barcelona.